What may look like a few specks south of Sicily in the Mediterranean Sea, are in fact the Maltese Islands, a country with a history more colourful that Joseph’s amazing technicoloured dreamcoat. Floating strategically between Europe and Africa, the islands have been coveted by many ambitious empires over the centuries. The Greeks, Romans, Arabs, Normans, Knights of St. John, British and French all staked claim over the islands at some point, meaning, for centuries, these islands were caught in a constant state of tug-of-war. The archipelago was in high demand amongst the powers that be, not for resources, but for their strategic location. Today, however, the islands are blissfully at peace and enjoy a typically relaxed Mediterranean life-style, with the only invasion being by tourists like myself. When I landed in Malta I was expecting a coastline strewn with small beachside villages and long, white sandy beaches. I did not expect that my visit would be more about exploring ancient cities and towns, delicious food and sea-views. 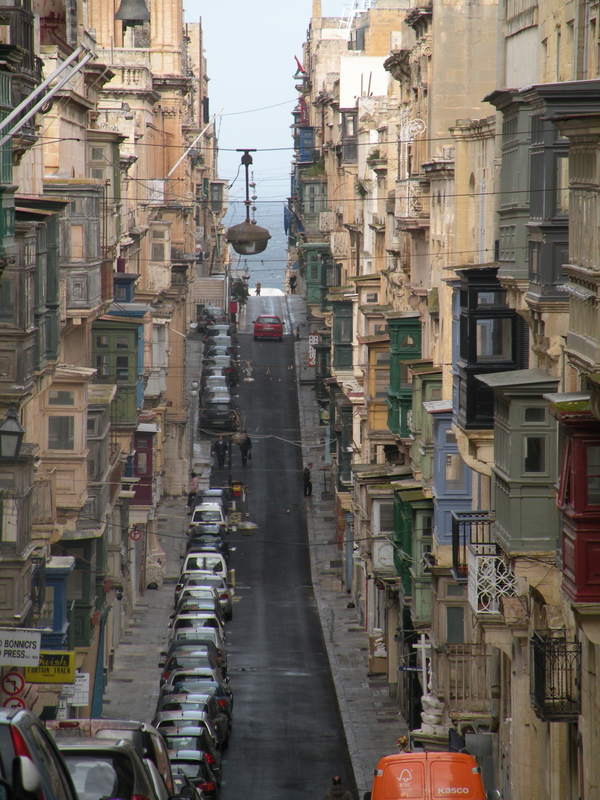 The capital, Valletta, lined with golden buildings replete with multi-coloured wooden balconies that bulge like pot-bellies, is a designated UNESCO Heritage Site. Much of the architecture dates back to the 16th and 17th centuries, when under the rule of the Knights of St. John, the best architects in Europe were drafted in to create a city of elaborate baroque buildings, palaces and churches, which ultimately became the legacy of the Knights. 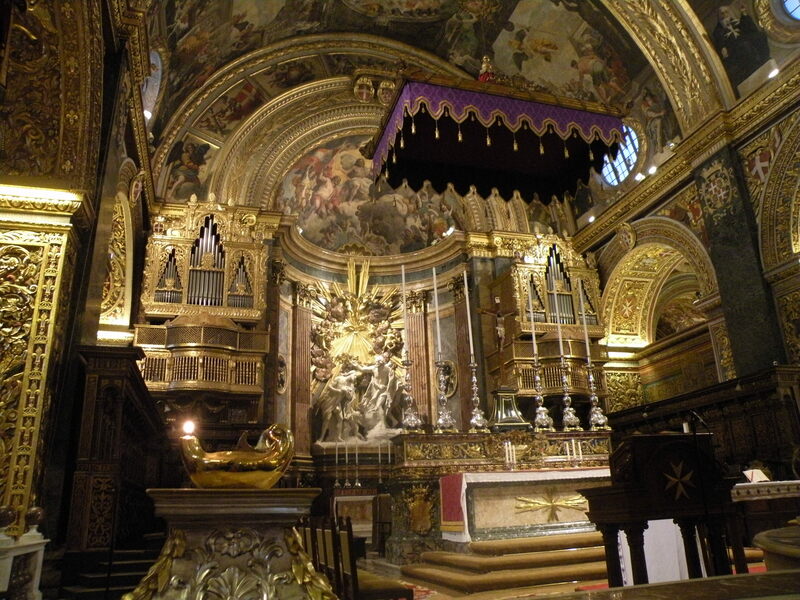 It seems all roads in Valletta lead to St. John’s Co-Cathedral, a building that perfectly portrays the glitz and glamour of the Baroque period. The rather understated exterior belies what lies within; an ornately designed interior. The ceiling is adorned with intricate drawings depicting scenes from St. John’s life and the floor, dressed with marble tombstones of deceased Knights while the columns, walls and any blank surface are awash with gold. The cathedral keeps its biggest surprise hidden in an unassuming alcove – two Carvaggio paintings. I found myself rooted to the spot in the dimly lit room, staring at the figures of St. John and his executioner. This is Carvaggio’s painting – The Beheading of St John The Baptist. The artist painted it on-site and captures the moment with such emotion and insight, that the grandeur and decadence of the cathedral pales in comparison. An afternoon can be whiled away, strolling the streets of Valletta, happening upon Baroque churches and palaces and quaint boutiques. All this walking builds up an appetite and there are plenty of buzzy cafes to choose from, however, our guide led us to an old bakery, Nenu – The Artisan Baker on Dominic Street to enjoy a lunch of Ftira, a traditional Maltese style pizza draped with tasty meats, cheese and vegetables. Scrumptious! After a heavy lunch, there’s nothing better than a blast of fresh air. Valletta straddles a headland and while snippets of blue can be seen from most streets in the city, the best sea-view is from the Upper Barrakka Gardens, a pretty green space within the golden city, overlooking the Grand Harbour. Despite the howling wind and threatening rain-clouds, the view across to the three cities was breathtaking. A new lift has been opened to whisk visitors from the gardens down to the bars and cafes of Valletta’s Waterfront, where you can enjoy a drink or bite to eat while watching the comings and goings of the cruise-liners during the summer months. 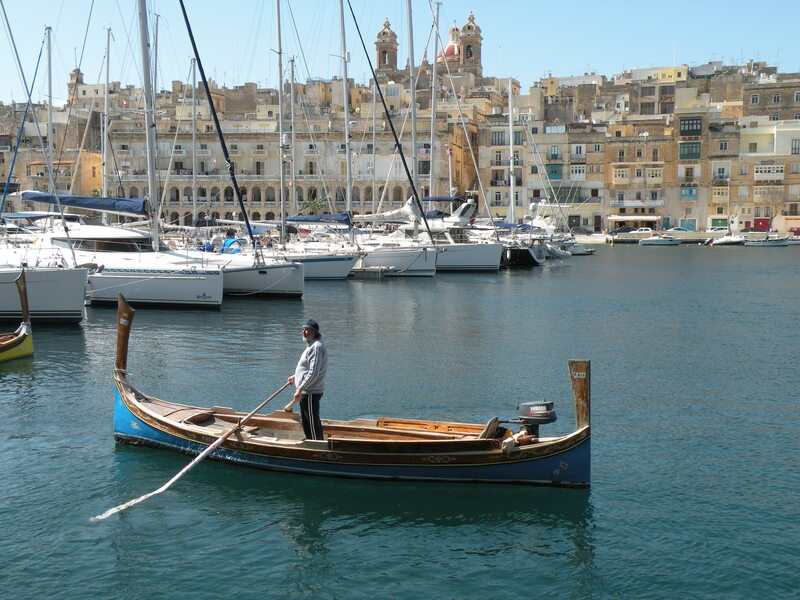 From here you can jump aboard a dghajsa, a typical Maltese gondola shaped boat, across to Vittoriosa, another small city made up of 16th and 17th century golden buildings lining the maze of narrow streets. Our stay in Valletta was nowhere near long enough and I’d certainly recommend spending several nights in the capital to truly explore the narrow streets and those of the cities across the harbour – Vittoriosa, Senglea and Cospicua. If you’re looking for a bit of luxury, check into the 5 star Phoenicia Hotel, centrally located and boasting a pool with breathtaking views. Our base was at the lovely Palace Hotel in Sliema, a busy waterside town around 15 minutes drive from Valletta. The neighbouring resort of St. Julian’s is a popular spot with young partygoers. The waterfront is packed with restaurants, bars, cafes, hotels and there’s even a casino for those wanting to try their luck. Tucked into the chaos of St. Julian’s is an elegant restaurant Sciacca Restaurant, popular for its delectable seafood dishes and buzzy atmosphere. The evening we dined there, the newly appointed Prime Minister of Malta arrived with his entourage, which boded well for our little group. The food did not disappoint, nor did the impeccable service and tasty dishes we feasted upon. Another night was spent at the fantastic Tarragon Restaurant, nestled into St Paul’s Bay, overlooking the harbour. We spent the evening gorging on the most delicious tempura prawns, calamari, ravioli and fresh fish, all washed down with crisp white, Maltese wine. To say this was a feast fit for a King is an understatement and it had to be the best meal I’ve had in a number of years. All I can say is if you are in Malta, try it. The coastline north of Valletta is dotted with rocky beaches and 1970’s apartment blocks catering for a mix of tourists, expats and locals, while the west coast is marked by towering cliffs and sandy beaches. The hilly interior of the island is made up of small towns, vegetable plots and rocky terrain. Driving is easy if you’re used to the left-hand drive and local farmers set up stalls along the roadside selling fresh produce ideal for spontaneous picnics or snacks. Families tend to seek out the quieter shores of Armier Bay, tucked below the buzzy town of Mellieha, which has a recently opened family park. The nearby Popeye Village comes as a bit of surprise and certainly captured the attention of all in our group. 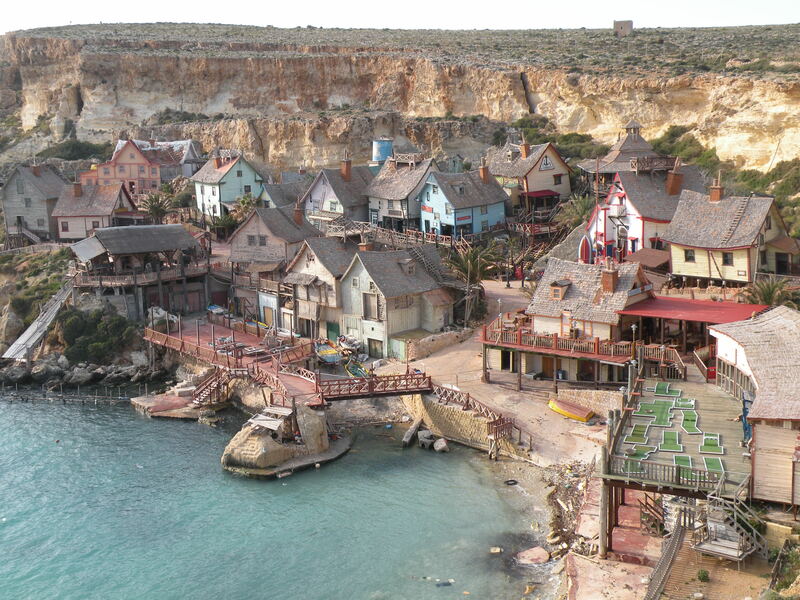 The multi-coloured, craggy buildings tucked into the rockface served as the set for the Popeye film and rather than tear it down, the set has been preserved and visitors can explore the set, play crazy golf, animated games and browse the comic museum. Day-trippers arrive in their droves to Cirkewwa Harbour to take the ferry across to the quiet and picturesque island of Gozo, incorporating a stop-over to bathe in the turquoise waters off Comino. Tour buses and jeeps in Gozo offer day tours around the island, visiting the ancient Ggantija Temples, the stunning Citadel, Rabat (Victoria) and other major sights. 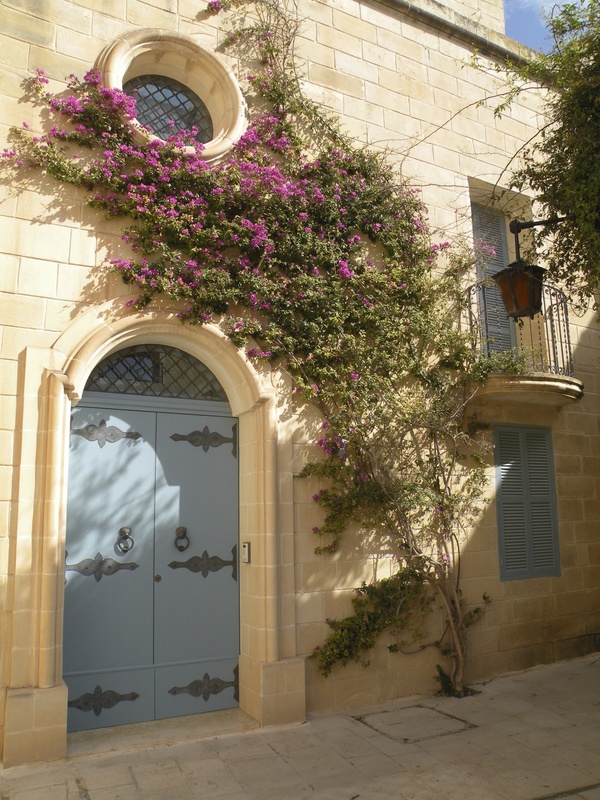 This whirlwind tour is well worth doing, however, it struck me that spending several days enjoying the tranquillity of Gozo, overnighting in a small hotel or farm-house, would in fact make the perfect retreat. (Full post on Gozo to follow). Back on the island of Malta another impressive citadel awaited us. Mdina is possibly one of the best preserved walled cities I’ve ever visited and it’s title as the Silent City is apt when you visit during the off-peak periods. Weaving our way through the narrow, cobbled streets it’s easy to imagine how it once was, back in the day. The majestic sand-coloured buildings continue to stand proud, iron arms jutting outwards holding old glass lanterns that still light the streets at night and always, the sound of the bells ring through the ancient city. Those in search of culture and history will not be disappointed with Malta, nor divers wanting to discover the hidden treasures of the turquoise ocean. 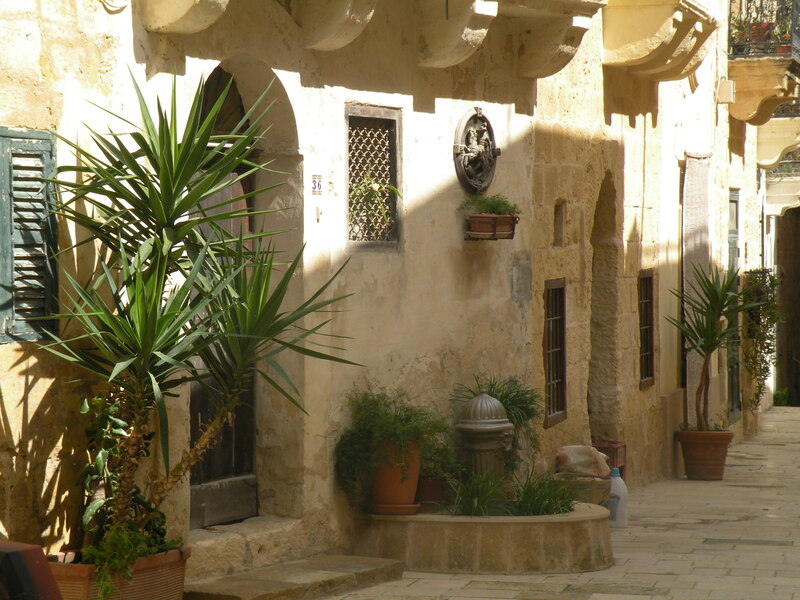 The beauty of the Maltese Islands are their varying appeal to people. For me, it was the golden buildings, multi-coloured balconies, maze of cobbled streets and endless views across the Mediterranean sea. NOTE: I travelled to Malta with the Maltese Tourist Board. All information on the island can be seen on their website. Ryanair flies several times per week direct from Dublin to Malta Luga Airport and Easy jet flies from Belfast to Malta Luga Airport. My name’s Randolph from Stuttgart Ost, Germany and I have to say your article is quite entertaining. The quality of your writing is very good and I can reckon you are an pro on this subject. With your authorization, would you let me to grab your RSS feed to keep up-to-date with new posts? Thanks a million and please continue the good work.